Tender green peas, sweet sugar snap peas, crunchy fennel, and peppery radishes make a flavorful, quick spring salad. In a large saucepan, cook peas, in batches, in boiling salted water to cover for 3 to 4 minutes or until crisp-tender. Using a slotted spoon, remove peas, and plunge into ice water to stop the cooking process; drain. In a large bowl, whisk together olive oil and next 5 ingredients. 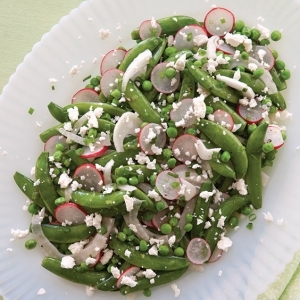 Stir in peas, fennel, and radishes. Sprinkle cheese over salad. Cover and refrigerate for up to 2 days. 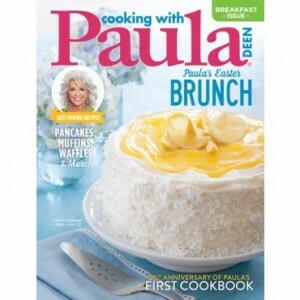 Get more great traditional Southern recipes by ordering your subscription to Cooking with Paula Deen today!